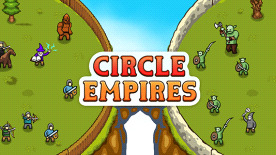 "Since we got all this love from thousands Circle Empires demo players, we decided to make it into a fully-fledged RTS. Now, after two years of work, this little gem is ready to be enjoyed." - the Luminous Team.